Maisie didn't go up on stage to collect the award, but Overton told BBC 5 live: "When we won I could see her up there jumping up and down and that was surreal. "But I think she's taken it all in her stride. She always said we'd win." Shenton added: "She held the Oscar, she said it was very heavy, she had her photograph taken with it and then said she wanted to go back and see her brothers and sisters, so she's keeping it real." The Silent Child tells the story of a profoundly deaf four-year-old called Libby, played by Maisie. She lives a silent life until a social worker, played by Shenton, teaches her how to communicate through sign language. Media captionMaisie is taking Hollywood life in her stride. 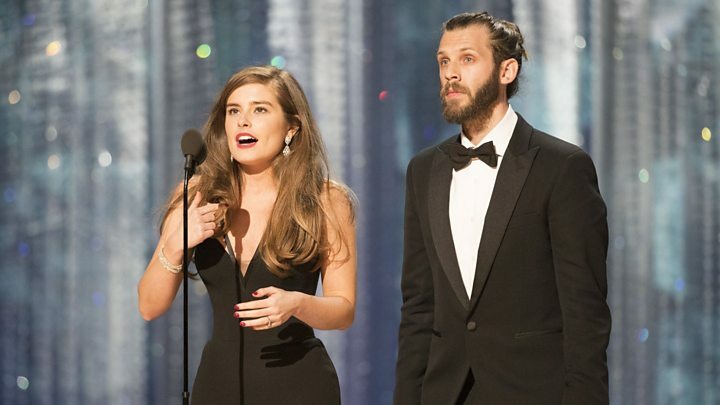 Giving her acceptance speech complete with sign language, Shenton said: "Our movie is about a deaf child being born into a world of silence. It's not exaggerated or sensationalised for the movie. "Deafness is a silent disability. You can't see it and it's not life threatening so I want to say the biggest of thank yous to the Academy for allowing us to put this in front of a mainstream audience." Shenton, from Stoke-on-Trent, was inspired to write the film by her father, who went deaf after receiving treatment for chemotherapy when she was 12. She became a qualified British Sign Language Interpreter and ambassador for the National Deaf Children's Society. In his acceptance speech, Overton thanked Shenton - his fiancee. He said: "It's really your hard work for the last 12 years that has really made this project authentic." Overton also thanked their parents for making cup cakes to raise funds for the film, and those who backed its crowdfunding campaign. He told BBC Breakfast they raised "over £1,000 in cupcakes". "My mum and dad made the cupcakes and Rachel's mum and her mum's partner Nigel sold them at their work," he said. "We crowdfunded this all by ourselves and we had the support of so many people, but it was made on a shoestring." The pair cast Maisie, who had never acted before, after a nationwide search involved advertising on the websites of deaf organisations. They auditioned 100 children before they found their star. Maisie's family had recently relocated 160 miles from Plymouth to Swindon so Maisie could attend a mainstream school where deaf children are supported. 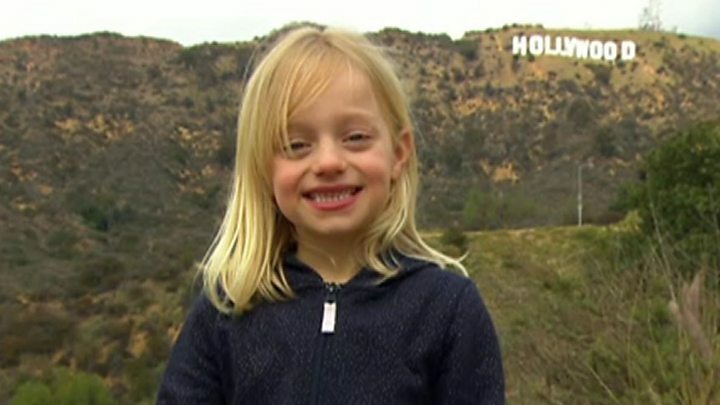 The Silent Child: From Hollyoaks to Hollywood?